Microgaming is a name familiar to most when it comes to online gambling. They have been one of the leading software providers since their inception way back in 1994. Their slots games are known around the world and we are delighted to provide you with the chance to test out the top Microgaming PC slots for free right here on our site. There is no download required and we don't need you to register either. Just click on the game you want to play and off you go. Microgaming software uses the latest technology and graphics to create the best casino games around. They have the largest progressive jackpot network and there are hundreds of great slots including branded titles to choose from. What's more, all Microgaming slots are fully compatible with all operating systems so you can play on PC, Mac, and mobile devices. If you prefer to play slots on your desktop or laptop, you will be delighted with the range available from Microgaming. Their games are available in download and no download instant play options so you can choose what works best for you. Below you will find the top 3 featured Microgaming PC slots as voted for by our readers. They can all be enjoyed for free on our website too. 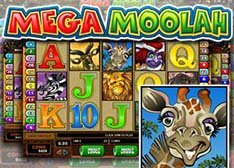 Mega Moolah: This is one of Microgaming's progressive jackpot titles and it comes with a 88.12% RTP. It is a 5 reel, 25 pay line title that quickly became a player favorite after one lucky player won $6.3 million back in 2009. Since then it has continued to pay out massive jackpots up to $13 million. The coin range for this slot is 0.01 to 0.05 and players can bet up to 125 coins in a single spin. Each coin played will unlock a different payline and you need to bet the max to be in with a chance of winning the progressive jackpot. The graphics and sounds are excellent and symbols are animals as well as standard card symbols. The jackpot is triggered randomly and when it is players will be presented with the Jackpot Wheel. Besides the progressive jackpot, there are plenty of other features. The Lion is the wild symbols and payouts for this symbol can go up to 15,000x your wager. The monkey is the scatter symbols and triggers a free spins bonus round with a 3x multiplier and a maximum payout of 400x your bet. 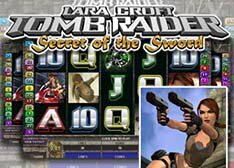 Tomb Raider 2: Secret of the Sword is the second Lara Croft themed slot from Microgaming and it comes with plenty of bonus features. It has 5 reel and 30 pay lines and spins cost 0.30 up to 6.00. There is a 7500 coin jackpot that can be won by getting 5 Lara Croft wild symbols. The Super Mode feature is triggered randomly and gives players 5 free spins. The free spins have multiple wild symbols on the reels that stay in place for the duration. There is a free spin with rolling reels feature that is activated by getting 3 or more Excalibur Key symbols. Players get 10 free spins and a multiplier up to 5x. This can be retriggered. The Global Adventure bonus feature is triggered by getting a Passport symbol in the centre of all 5 reels and gives players 450x their wager. During this bonus round, there are plenty of cash prizes up for grabs as well as multipliers and a shootout bonus feature. There is lots of action and adventure to be had in this Microgaming PC slot. 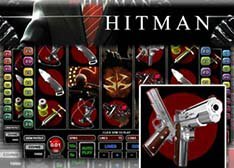 Hitman: This is a 5 reel, 15 pay line video slot with plenty of great bonus features and a 95.48% RTP. You can bet up to 20 coins per line with the max bet being 75 coins. This slot comes with loads of multipliers and special symbols. The Hitman is the wild symbols and on reels 2, 3, and 4 it will expand to cover the entire reel. The scatter symbol is a red circle with the number 18 on it. It rewards players with 18 free spins if they get 3 or more of them. If you get the Laptop symbol on lines 3, 4, and 5, you activate the Contract Bonus game where you can win up to 270,000 coins. The Insignia symbol triggers a second bonus game when it lands on reels 1, 2, and 3. This video slot is visually stunning and there are three jackpots up for grabs. The first is 4000x you wager if you get 5 sniping hitman symbols on the same pay line. The second is a 6000x jackpot if you pick the right symbol in the Insignia bonus game, and the biggest payout is 270,000 coins available in the Contract bonus game. If you'd like to spin the reels on any of the above-mentioned games, remember to check out our free Microgaming slots page where you can play with no download and no registration. We have a massive selection of free slots on our website and if you decide to play for real money we can help you find the best sites and bonuses too. Right now we are recommending theSpin Palace casino free spins bonus for Canadian players. They have all the best Microgaming slots as well as a fantastic welcome bonus for new sign ups. Open a real money player account today and you can get 50 free spins on Microgaming's Avalon slot as well as $1,000 welcome bonus spread out over your first three deposits. With your first deposit, you are rewarded with 100% up to $250. Your second deposit gets you 25% up to $300, and your third deposit is worth 50% up to $450.